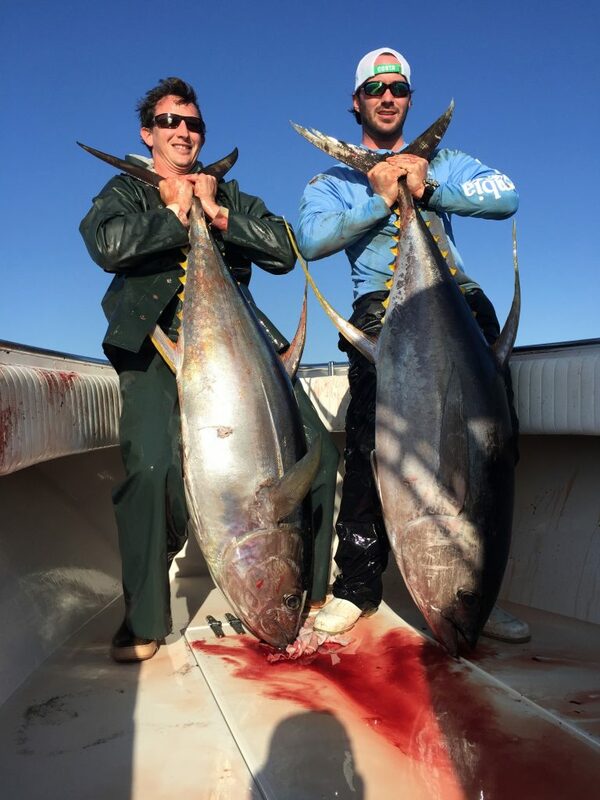 It’s been a great winter so far for big yellowfins. 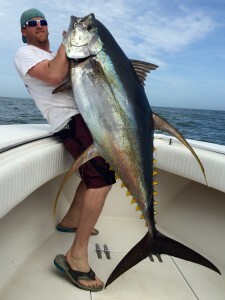 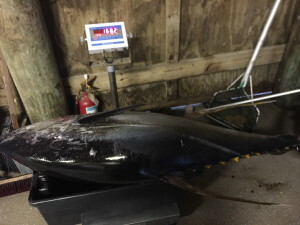 Every trip so far this year has resulted in at least one yellowfin tuna over 100 lbs. 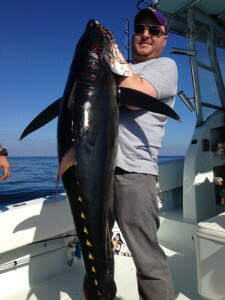 We’re also catching plenty huge blackfin tuna(25-30lbs). 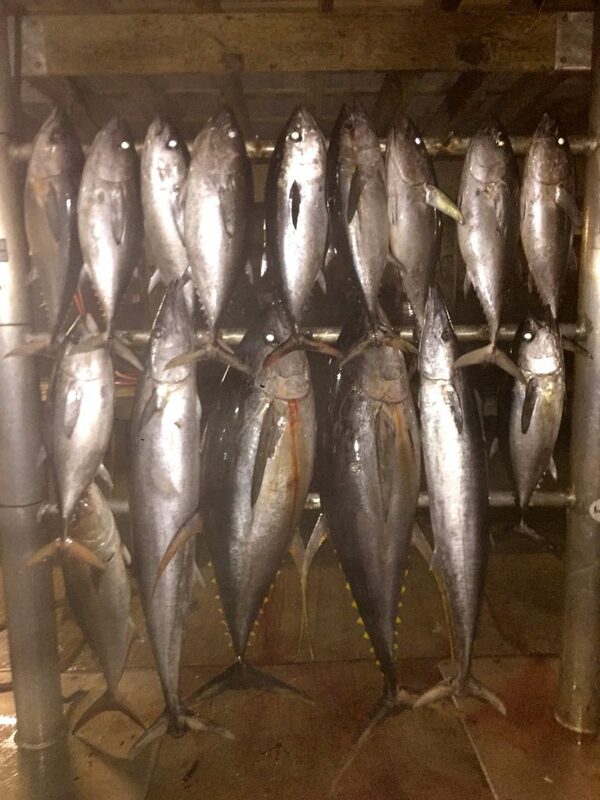 Some days we’re able to catch as many as you want. 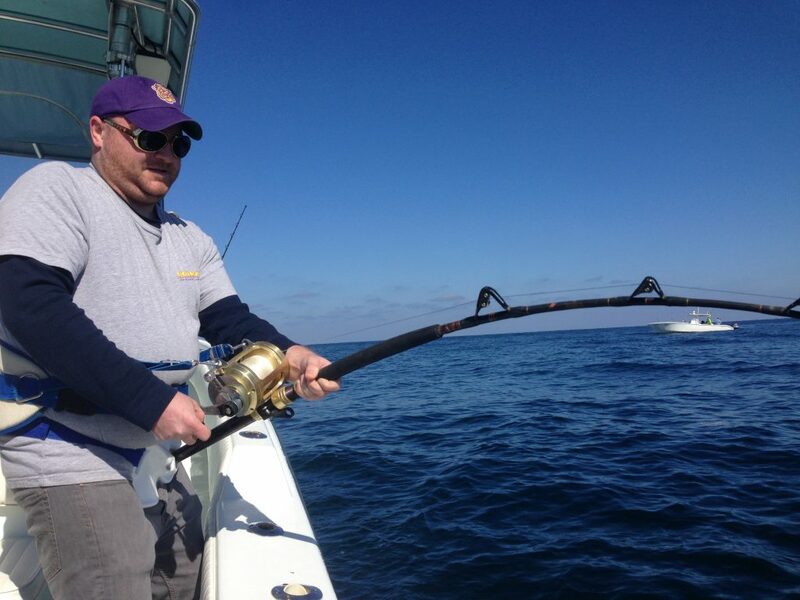 All fish have been caught chunking at rigs and lumps. The water has been very dirty allowing us to catch the fish on larger tackle resulting in shorter battles. The biggest fish so far was a 165lb beast that came in in 45 minutes. 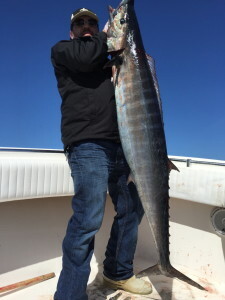 On the negative side of things, the wahoo bite has not been all that great. 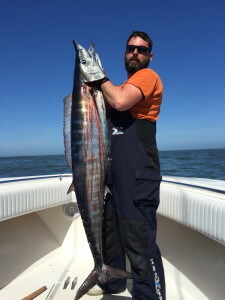 Normally, at this time of year the wahoo are all around the same areas that we fish for tuna. 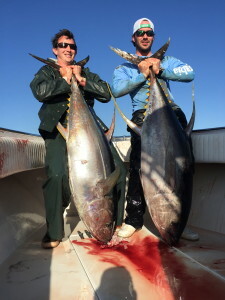 One day they’re around and the next they’re gone. I’ve done well with the larger diving baits in pink and purple. 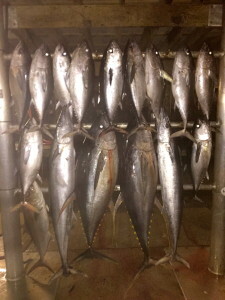 They have made a good showing out to the west but thats the opposite direction from where the tuna are. 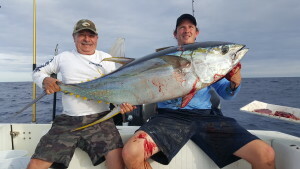 And finally, the amberjack bite has been good but we’ve had a lot of undersize fish in the mix, thanks to the new regulation of 34″. 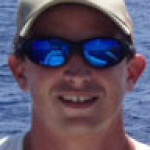 Most amberjacks were caught on high speed jigs.